This year as well as my usual Valentine's gift guides I have decided to feature some lovely little business who make some wonderful handmade items. I think its so important to support little businesses and each item is made with care and attention to detail. Clancy is the owner and creator of Rainbow felt designs. Clancy makes a wonderful range of cute and adorable felt gifts. 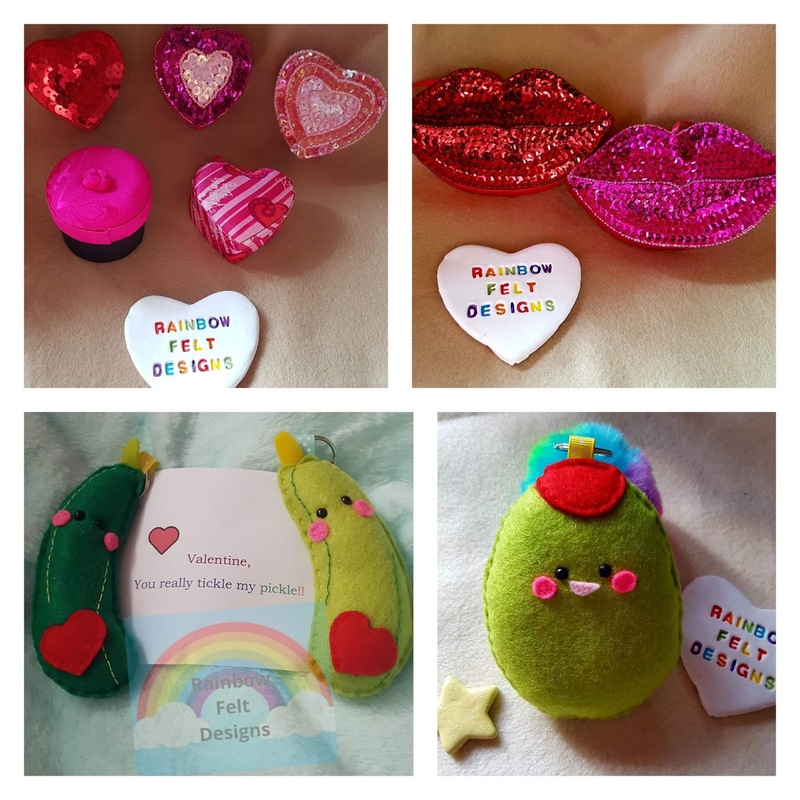 Some of her Valentine's range include these cute sequined heart and lip treat boxes as well as the adorable felt olive or pickle keyrings. All items are handmade and are great prices too, why not head over and see what other cute products she's made. Maria is the woman behind Maria Parker Design. Maria makes and sells a wide selection of items that make perfect gifts. One of her favourite things to make are her stunning scrapbooks . 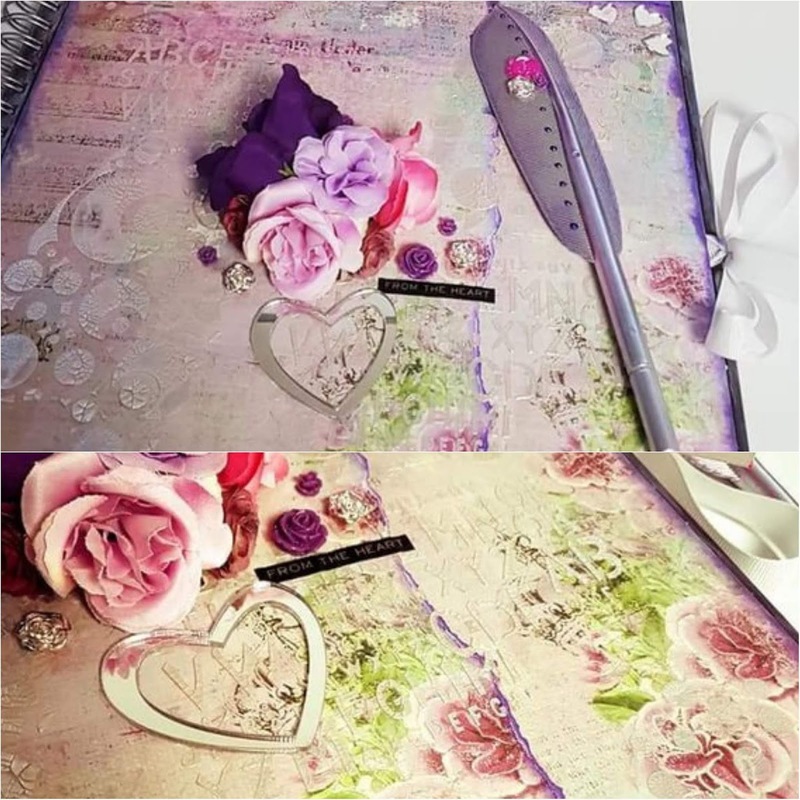 These beautiful mixed media handmade scrapbook albums are the perfect personalised gift. For one of these gorgeous albums, maria can work with you to make the colour or theme of your choice. They are completely personalised to your request and they are made using different mediums like paper, paste, ink sprays, art alchemy acrylic paints to name but a few. Emma is the diva of bath bombs with something extra special about them. 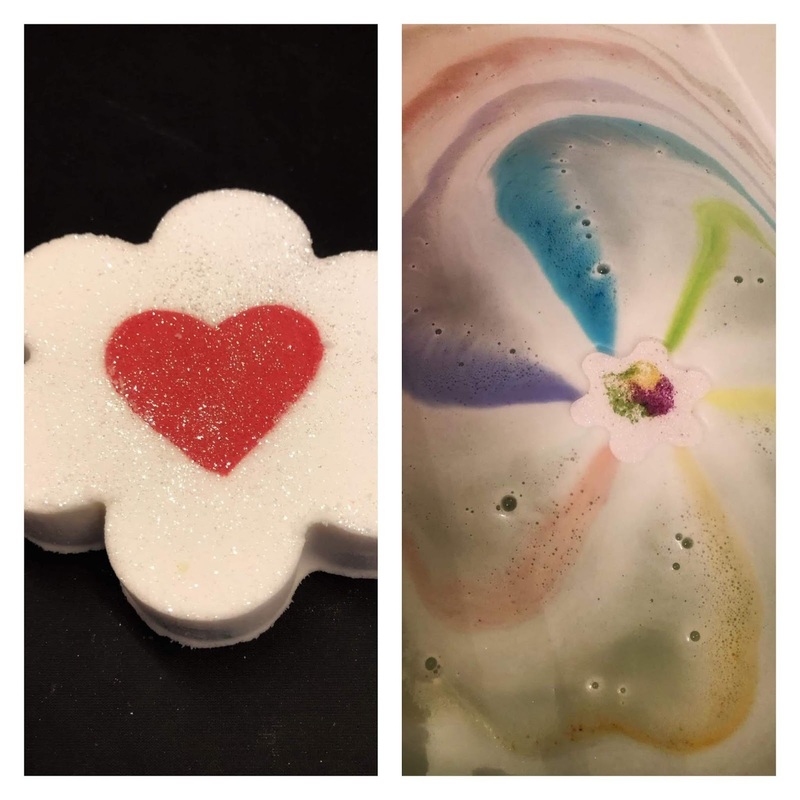 At Emma’s Bath Bomb Delights, you will find an array of homemade hand painted, vegan friendly, SLS free bath bombs, soaps and shampoo bars. Emma started her little business about 15 months ago, it has been a journey of self healing and self growth for her. This is the forget me not, a perfect combination of hearts and flowers ideal for your Valentine. Scented in sherbet, the bottom of the bomb has been sprayed blue so that it colours the water and doesn’t interfere with the fantastic art show. Elina is the lady behind Nordic Touch shop where you can find some wonderful pieces of handmade jewellery. Why not treat a loved one to these Beautiful ear cuffs to fill your outfit. They all are handmade and unique pieces. You can adjust them to fit your ears and press around the cartilage and you are ready to go. Kerrie is the designer, owner and general dogsbody for Kerrie Davis Jewellery. She has been playing with jewellery in one form or another for a few years but only really found her love for wire wrap in the last year. She loves the dramatic different designs you can create, from truly intricate to sweet and simple. 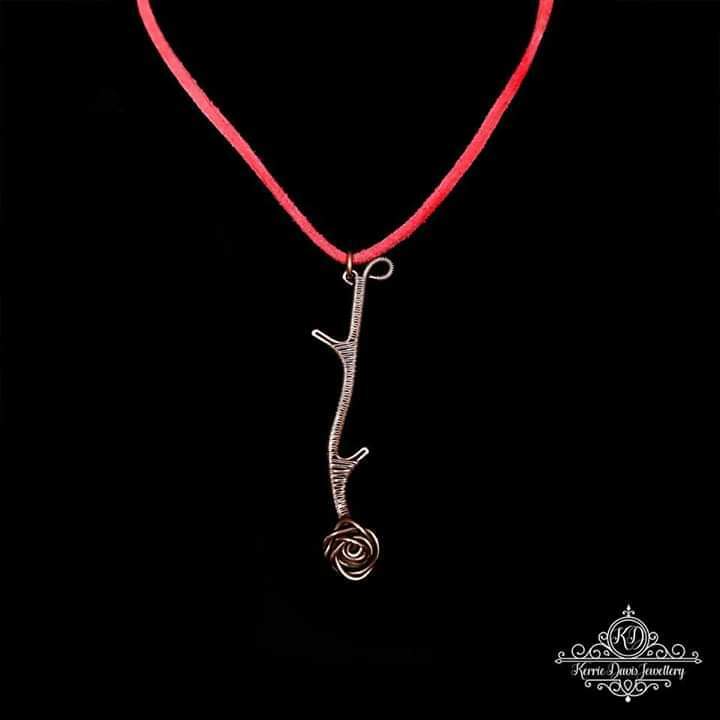 This gorgeous copper rose is available in copper or silver and handmade to order on various vegan suede necklaces! I honestly love all the detail Kerrie puts into her work and this necklace will make such a wonderful and unique Valentines gift. Sue started needle felting just over two years ago. At the time it was all about relaxation and having a hobby. Time passed and she started making felted items for friends, family and paying customers. Shy Sheep Felties is now a small business, selling bespoke felted items on Etsy, Facebook and in a local craft centre. 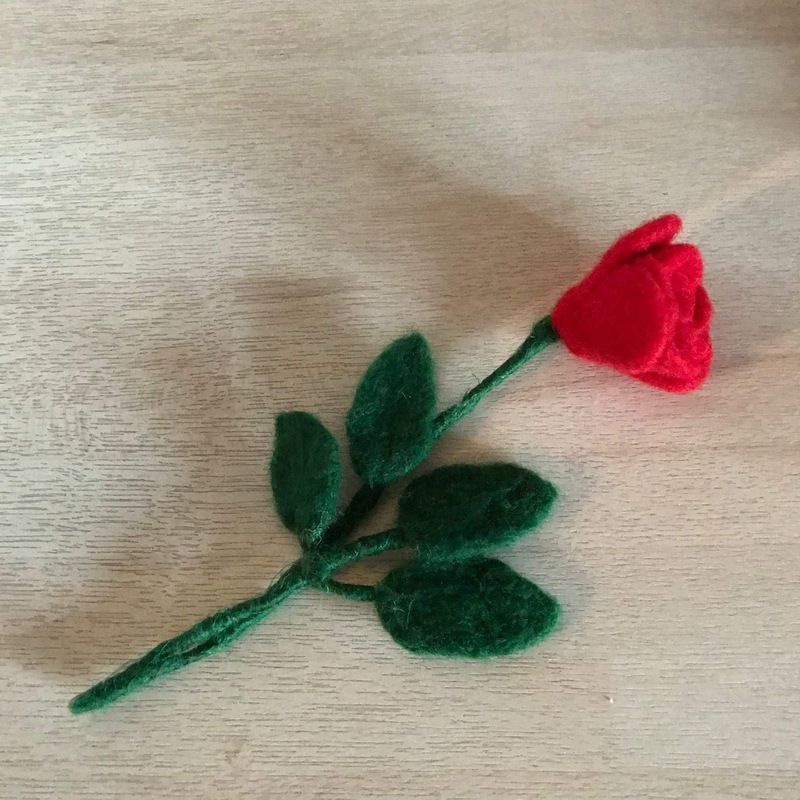 Her latest felted item is a single red rose, designed for that ever lasting gift. Each one is totally unique and costs just £15 plus postage. 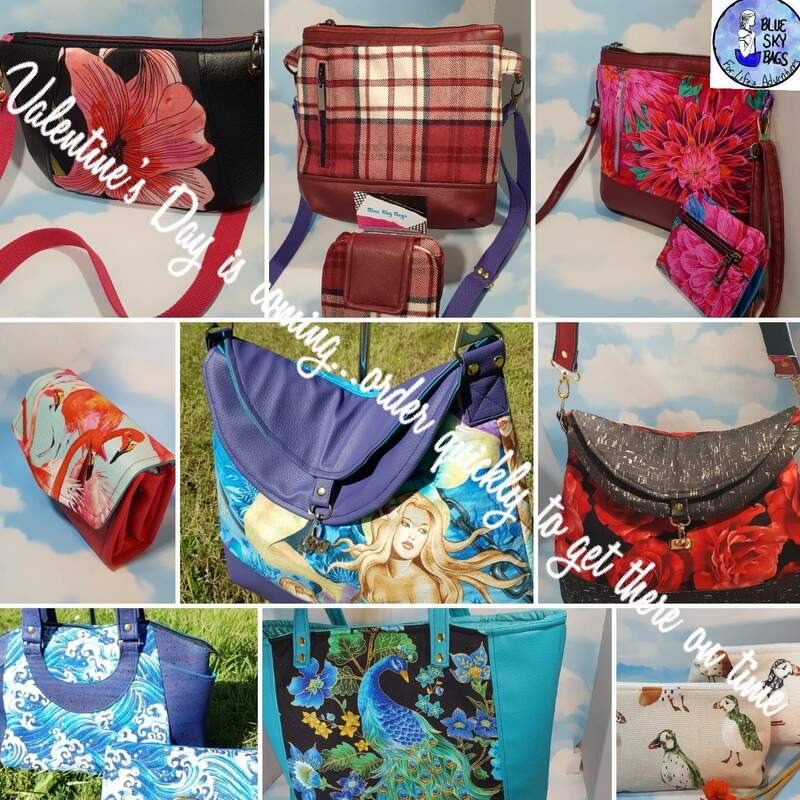 Vicky McCreadie is the owner and maker of Blue Sky Bags where she makes bags to order to brighten up your day. Mother of 2 boys, wife, full time worker she fit this in as well because she loves making beautiful things. With so many stunning designs available Vicky is sure to have something that would be the perfect Valentine's gift. Some absolutely beautiful items on here! I adore the felt rose and the bath bombs look so good!